It is expected that each student will obey federal, state, and local laws, will show respect for properly constituted authority, and will exhibit and maintain integrity and honor in all matters related to Northwest Iowa Community College. To this end, students are expected to adhere to the following Student Conduct Code. “Class day” means a day on which classes are regularly scheduled. “College property” or “College facilities” mean property, real or personal, owned, leased, controlled or managed by the College. “Complainant” means the person who submits a report or complaint alleging that a student violated this Student Conduct Code. If another member of the College community submits the report or charge on behalf of a student who believes that s/he has been a victim of another student’s misconduct, the student who believes s/he has been a victim will also be considered the “Complainant” for purposes of any rights afforded to a complainant under this Student Conduct Code. “Vice President” means the Vice President of Student & Academic Services, and/or his/her delegate, designee, representative, or agent. “Faculty” means instructional employees, or who is otherwise considered by the College to be a member of its faculty. “Major violation” means one which can result in suspension or expulsion from the College or denial of degree. “Minor violation” means one which can result in any disciplinary action other than suspension or expulsion from the College or denial of degree. “Student” means any person enrolled in the College, whether on a part-time or full-time basis. A person who withdraws after allegedly violating the Student Conduct Code, who is not officially enrolled for a particular term but who have a continuing relationship with the College, or who has been notified of acceptance for admission are considered a “Student” for purposes of this Student Conduct Code. “Preponderance of the Evidence” means supported by the greater weight of the evidence. In other words, whether it is more likely than not that something occurred. “President” means the President of the College, and/ or his/her delegate, designee, representative, or agent. “Respondent” means the student accused of violating this Student Conduct Code. This Student Conduct Code applies equally to all students and to conduct that occurs on College property or in College facilities, at College-sponsored activities, and to off-campus conduct that adversely affects the College community and/or the pursuit of its objectives. Through voluntary admission and entrance to the College, each student indicates their willingness to be responsible for his/her conduct from the time of application for admission through the actual awarding of a degree, including conduct before classes begin, after classes end, during the academic year, or between terms of actual enrollment (even if violations are not discovered until after a degree is awarded). The Student Conduct Code applies to a student’s conduct even if the student withdraws from school while a disciplinary matter is pending. College disciplinary proceedings may be instituted against a student for misconduct that potentially violates both the criminal law and this Student Conduct Code (that is, if both possible violations result from the same factual situation) without regard to the pendency of civil or criminal litigation in court or criminal arrest and prosecution. Proceedings under this Student Conduct Code may be carried out prior to, simultaneously with, or following civil or criminal pr oeedings off-campus. Determinations made or sanctions imposed under this Student Conduct Code will not be subject to change because criminal charges arising out of the same facts giving rise to violation of College rules were dismissed, reduced, or resolved in favor of or against the criminal law defendant. College conduct proceedings under the Student Conduct Code are separate from criminal or civil litigation. Formal rules of process, procedure, and/or technical rules of evidence, such as are applied in criminal or civil court, are not used in the Student Conduct proceedings. Improper Use of College Facilities or Property: Failing to comply with established rules, policies, and procedures in using College facilities or property. This includes unauthorized use of College facilities or property, and/or damage to College property or facilities. Willful disruption of College-sponsored, supported, and supervised activities, including lectures, classroom instruction, presentations, or performances. Turning in written essays, assignments, and computer programs produced by someone else when the expectation was to do one’s own work. Collaborating on a written assignment without the specific approval of the instructor. Plagiarism, including borrowing materials from any source—professional or amateur—and turning it in as original, and/or failing to acknowledge through appropriate citations any words, ideas, research, graphics, etc., produced by someone other than the person claiming authorship. Using unauthorized test aids such as notes, drawings, books, etc., during an examination. Aiding another student in dishonesty such as producing written work or sharing information during a test period. Fabricating research or source materials. Stealing, buying or somehow obtaining a test from an instructor’s work area or computer files. Furnishing false information to any College official, faculty member, or College office. Failure or refusal to timely pay a debt owed Northwest Iowa Community College. 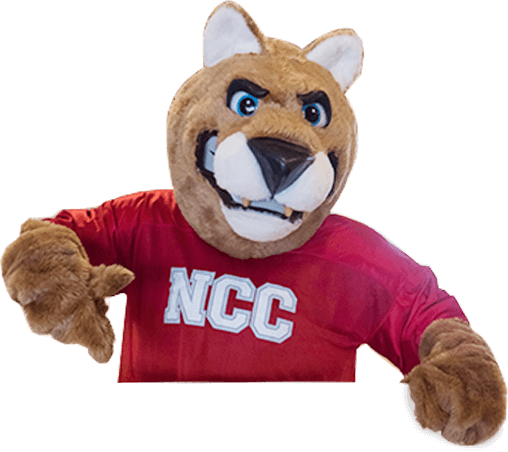 Presentation or delivery of any check, draft, or order to Northwest Iowa Community College, with intent to defraud. Failure to pay the College the amount of a check, draft, or order on or before the first class day after the day the business office sends written notice that the drawer has rightfully refused payment on the check, draft or order. Engaging in fighting or violent behavior in the College or at College functions. Willfully making loud and raucous noise in the vicinity of the College or at College functions which disrupts College activities and events. Directs abusive epithets or makes any threatening gesture which the person knows or reasonably should know is likely to provoke a violent reaction by another. By words or actions, initiates or circulates a report or warning of fire, epidemic, or other catastrophe, knowing such report to be false or such warning to be baseless. Trespass: Violating a College no-trespass directive, or committing any act of trespass prohibited by law. Laws: Other acts in violation of any federal, state, or local law. Policies: Other acts in violation of College policies, rules, or procedures published in hard copy or available electronically on the College website. Sexual Misconduct, as defined under the College’s Sexual Misconduct Policy. Discrimination and Discriminatory Harassment, as defined under the College’s Discriminatory Harassment Policy. Any infractions of the Prohibited Weapons Policy. Any member of the College community may file a complaint against a student for violations of the Student Conduct Code. A complaint should be prepared in writing and directed to the Vice President. A complaint that is not in writing may still be investigated in the discretion of the Vice President. The Vice President will conduct a preliminary investigation into the complaint to determine if the charges have merit and/or whether the alleged violation constitutes a Minor or Major Violation. The Vice President may determine the matter can be disposed of informally/administratively by mutual consent of the parties involved on a basis acceptable to the Vice President. If charges are not admitted and/or cannot be disposed of, the case will proceed to the formal procedures as set forth below for Minor or Major Violations. If the respondent admits violating institutional rules, but sanctions are not agreed to, the case will proceed to the formal procedures as set forth below for Minor or Major Violations, which shall be limited to determining the appropriate sanction(s). For cases of Sexual Misconduct, informal resolution/resolution by mutual consent will only be pursued when both parties voluntarily agree, and the parties are informed in writing of their right to request the complaint be handled under formal procedures at any time. During the process, the parties will be given the same opportunities to have others present for interviews or meetings, which includes the opportunity to be accompanied to interviews by a silent representative/advisor of their choice. In no event will informal resolution/ resolution by mutual consent be used in cases of Sexual Assault/Abuse, or where there is a power differential between the parties (e.g., if the complainant is a student and the accused is an employee with authority over the student). At no time will the complainant be required to resolve the issue directly with the respondent. Any case disposed of by informal resolution/ resolution by mutual consent shall be final and there shall be no subsequent proceedings. The respondent shall be provided with written notice of the alleged misconduct, and the date, time, and place of the hearing. The respondent shall also be given the opportunity to review any documents the Vice President has in their possession pertaining to the charges (except students shall not have the right to review any document prohibited from disclosure or production by law, any document constituting work product or any attorney-client communication). The administrative hearing will be scheduled no less than five (5) nor more than thirty (30) business days after the respondent has been notified. Maximum time limits for scheduling of an administrative hearing may be extended at the discretion of the Vice President. During the administrative hearing, the respondent will have an opportunity to respond to the charges and to present evidence or witnesses contesting the charges. The Vice President will determine if a violation occurred based on a preponderance of the evidence and will issue appropriate sanctions. If a respondent, after receiving notice, does not appear for the hearing, the information in support of the charges will be considered even if the respondent is not present. The Vice President will notify the respondent of the outcome of the hearing in writing within ten (10) business days of completion of the hearing, or longer for good cause. For cases of Sexual Misconduct, the complainant will (i) receive a copy of the written notice provided to the respondent; (ii) be given an opportunity to equally participate in the administrative hearing (at the same or different time than the respondent based on the circumstances); and (iii) receive simultaneous written notification of the outcome and of any sanctions to be imposed relating directly to the complainant. Furthermore, in these cases, either the complainant or the respondent may request a formal disciplinary hearing before the Student Conduct Committee under the procedures set forth in Section VI(A)(1)(5) (i.e., the hearing procedures followed for Major Violations). The Vice President’s decision on an administrative hearing for Minor Violations shall be final and shall not be subject to appeal. The SCC shall be composed of one administrative officer of the College other than an officer under the supervision of the Vice President; an Academic Dean; one College faculty member and two students as selected by the Student Government Association. The members of the committee shall be appointed by the President, except the student members shall be appointed by the Student Government Association. The Vice President of College Operations and Finance shall serve as Chairperson of the committee. The chairperson shall conduct the hearing and shall rule on the admissibility of evidence, motions, and objections; the Chairperson’s decision may be overridden on a vote of the committee. Each member of the committee, including the Chairperson, is eligible to vote at the hearing. In hearings involving more than one respondent, the Vice President, in his/her discretion, may permit the SCC hearing(s) concerning each respondent to be conducted either separately or jointly. In cases of Sexual Misconduct, the complainant shall be made a party to the hearing and afforded coequal rights to participation and representation in the hearing as afforded to the respondent. The SCC Chairperson shall have written notice served upon the parties which notice shall set the date, time and place for the hearing, as well as the nature of the alleged violation. The written notice shall indicate whether the College is seeking suspension or expulsion, and inform the parties they have the opportunity to review any documents the Vice President of Student & Academic Services has in their possession pertaining to the charges (except students shall not have the right to review any document prohibited from disclosure or production by law, any document constituting work product or any attorney-client communication). The hearing date shall be not less than five (5) nor more than ten (10) class days after service of the notice. If the student is under 18 years of age, a copy of the notice shall be sent by certified, return receipt request, U.S. mail to the parents or guardian of the student. The Chairperson may for good cause postpone the hearing. The Vice President shall represent the College before the SCC and shall present evidence to support an allegation of a violation. If a respondent, after receiving notice, does not appear for the hearing, the information in support of the charges will be presented and considered even if the respondent is not present. The parties have the right to be assisted by a representative/advisor of their choice, at their own expense, including legal counsel. Unless otherwise permitted by the Chairperson, the representative/advisor shall remain silent and not present argument, evidence, or examine/cross-examine witnesses. Hearings are closed to the public. The parties and their representatives/ advisor(s), if any, will be allowed to attend the entire portion of the SCC hearing at which information is received (excluding deliberations). Admission of any other person to the SCC hearing will be at the discretion of the Chairperson of the SCC. The Vice President and the parties may see and hear all evidence presented at the hearing. The Vice President and the parties may arrange for witnesses to present pertinent information to the SCC. The College will try to arrange the attendance of possible witnesses who are members of the College community, if reasonably possible, and who are identified by the parties at least two (2) class days prior to the SCC hearing. The Vice President and the parties may call witnesses, conduct cross-examination, and may answer any evidence presented by others through rebuttal. In appropriate cases (such as Sexual Misconduct cases) the Chairperson may make special arrangements to protect the complainant and the accused from direct confrontation. For example, Skype or other video conferencing may be considered. Furthermore, the parties may be asked to provide their questions for cross-examination of the adverse party to the Chairperson who will then pose those questions to that adverse party. The Chairperson may ask questions, at any time, of the parties and of the witnesses. The SCC members may also ask questions of the witnesses by providing those questions in writing to the Chairperson, who shall then ask the party or witness the question. The Vice President and the parties may present pertinent records, exhibits, and written statements (including student impact statements) as evidence for consideration by the SCC at the discretion of the Chairperson. Parties shall be given the opportunity to comment on or provide rebuttal evidence to that provided by an adverse party. There shall be a single verbatim record, such as a tape recording, of all SCC hearings (not including deliberations). Deliberations shall not be recorded. The record will be the property of the College. After the hearing, the SCC shall privately deliberate and determine (by majority vote) whether the respondent has violated each section of the Student Code which the respondent is charged with violating. The SCC’s determination will be made on a preponderance of the evidence standard. In each case in which a SCC determines a respondent has violated the Student Conduct Code, they will also determine sanction(s). Within ten (10) business days of completion of the hearing, or longer for good cause, the SCC shall provide their determination to the Vice President and the parties simultaneously in writing. The determination shall include (i) whether a preponderance of the evidence supports a finding that the Student Conduct Code was violated with respect to each allegation in the complaint, including essential findings; (ii) individual remedies for the complainant; (iii) campus-wide remedies; and (iv) sanctions imposed. In the event the alleged misconduct cannot be characterized as a crime of violence or non-forcible sexual offense, the complainant may only be informed of sanctions imposed on the respondent that directly relate to the complainant (such as requiring that the respondent stay away from the complainant for some period, prohibiting the respondent from attending school or working at the school for some period; or transferring the respondent to another residence hall, classes, school, or job). The SCC’s hearing decision may be appealed, by any party, to the President of the College within five (5) business days of the decision. Such appeals will be in writing and will be delivered to the President’s office. If an appeal is filed, the parties will receive written notification stating: (i) the appeal has been received; and (ii) they have the opportunity to submit additional relevant information and/or statements for review by the President within five (5) business days. To determine whether the hearing was conducted fairly in light of the charges and information presented, and in conformity with prescribed procedures. Deviations from designated procedures will not be a basis for sustaining an appeal unless significant prejudice results. To determine whether the decision was supported by substantial evidence. To determine whether the sanction(s) imposed were appropriate for the violation of the Student Conduct Code which the respondent was found to have committed. To consider new information, sufficient to alter a decision, not brought out in the original hearing because such information and/or facts were not known at the time of the original hearing. The President may affirm, reverse, or modify the decision regarding the violation and/or sanctions imposed. The President’s written decision shall be provided to the Vice President and the parties simultaneously in writing. The written appeals decision shall be completed within twenty (20) days of the date of appeal. The twenty (20) day deadline can be extended for good cause by the President. The written decision shall be the final decision. The written decision(s), the written notes, tape recordings, and any other record of the disciplinary hearing proceedings will be maintained in the Vice President’s office. The records will be available to the parties during the appeal period, to be viewed in the Vice President’s office. Applicable law, and College rules and policies, which govern release of education records govern the dissemination of disciplinary records. Probation: Probation is for a designed period of time and includes the probability of more severe disciplinary sanctions if the student is found to violate any institutional regulation(s) during the probationary period. Discretionary Sanctions: Work assignments, essays, service to the College, or other related discretionary assignments. Suspension: Separation of the student from the College for a definite period of time, after which the Student is eligible to return. Conditions for readmission may be specified. Revocation of Admission: Admission to the College may be revoked for fraud, misrepresentation, or acts of misconduct under the Student Conduct Code. Withholding Degree: The College may withhold awarding a degree otherwise earned until the completion of the process set forth in this Student Conduct Code, including the completion of all sanctions imposed, if any. Removal of the Student from a course in progress. Any student group, organization, or club may be subject to the same disciplinary proceedings for a charge of misconduct as a student respondent under Section VI of this Student Conduct Code. Whether the charge proceeds under informal resolution or the procedures for Minor or Major Violations shall be in the discretion of the Vice President. Sanctions for a student group, organization, or club can include warnings, reprimands, probation, loss of selected or all rights and privileges for a specified period of time or indefinitely, fines, restitution, discretionary sanctions, or deactivation. If the student poses an ongoing threat of disruption of, or interference with, the normal operations of the College; or In other good cause identified in writing by the Vice President. The student will be notified in writing of this action and the reasons for the interim suspension. The notice will include the time, date, and place of a subsequent administrative hearing at which the student may show cause why his or her continued presence on the campus does not constitute a threat (and at which they may contest whether a campus rule was violated). During the interim suspension, a student will be denied access to the campus (including classes) and/or all other College activities or privileges for which the student might otherwise be eligible, as the Vice President may determine to be appropriate. The interim suspension does not replace the regular Student Conduct Code disciplinary process, which will proceed on the normal schedule. Instructors and/or an Academic Dean have the authority to suspend a student from their class, up to one (1) class day for violation of student conduct standards. An incident report will be written by the instructor within three (3) working days. This report will be sent to the Vice President’s office, with a copy to the Academic Dean as applicable. Upon recommendation of the Vice President, a student may be suspended further for up to a total of three (3) days for a violation of student conduct standards. In the event any portion of this policy conflicts with the laws of Iowa or of the United States, those laws shall be followed. Words and phrases herein shall be construed as in the singular or plural number, and as masculine, feminine or neuter gender, according to the context.